Chandigarh, December 14 – Hailing the Supreme Court’s decision on Haryana Panchayati Raj (Amendment) Act, 2015, Haryana Development and Panchayats Minister, Mr. O.P. Dhankar, said that Haryana would now emerge as a pioneer in providing excellent public representatives of Panchayati Raj Institutions for the whole country. 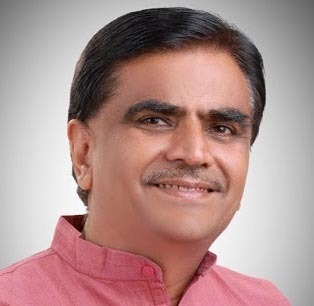 In a statement issued here today, Mr. Dhankar said that following the Supreme Court’s validation of the Haryana Government’s decision to amend the Act and observation that there is a need to adopt this in the entire country, a new kind of politics would begin in the State. He added that Chief Ministers of other states and other leaders are hailing the Haryana Government’s bold decision to amend the Panchayati Raj Act, and this move was extensively discussed in media and social media. Apart from this, several newspapers published editorials on the subject after the Supreme Court upheld the Haryana Government’s decision. The Minister said that following this decision, the elected representatives would create a role model in their areas. While Haryana was so far renowned for its sports persons and brave soldiers, the State would now be known as ‘Padhi-Likhi Panchayat – Haryana’. He said that this decision would prove to be a milestone in the direction of improvement in Panchayati Raj system and it would be possible to elect representatives with clean image. He added that to ensure that good candidates come forward to contest the elections, minimum educational qualification has been prescribed, under which matriculation is the essential qualification for general candidates contesting the panchayat elections. Women (general) and Scheduled Caste candidates should have cleared at least Class 8 and women SC candidates should have cleared at least Class 5. The Minister added that candidates should not be cooperative loan and electricity bill defaulters and they would have to declare that they have a functional toilet at home at the time of filing nomination. This would help make the ‘Swachh Bharat Swachh Haryana’ mission successful. This decision would also lead to increase in literacy. The election of educated public representatives to the Panchayati Raj Institutions would boost transparency in development works.